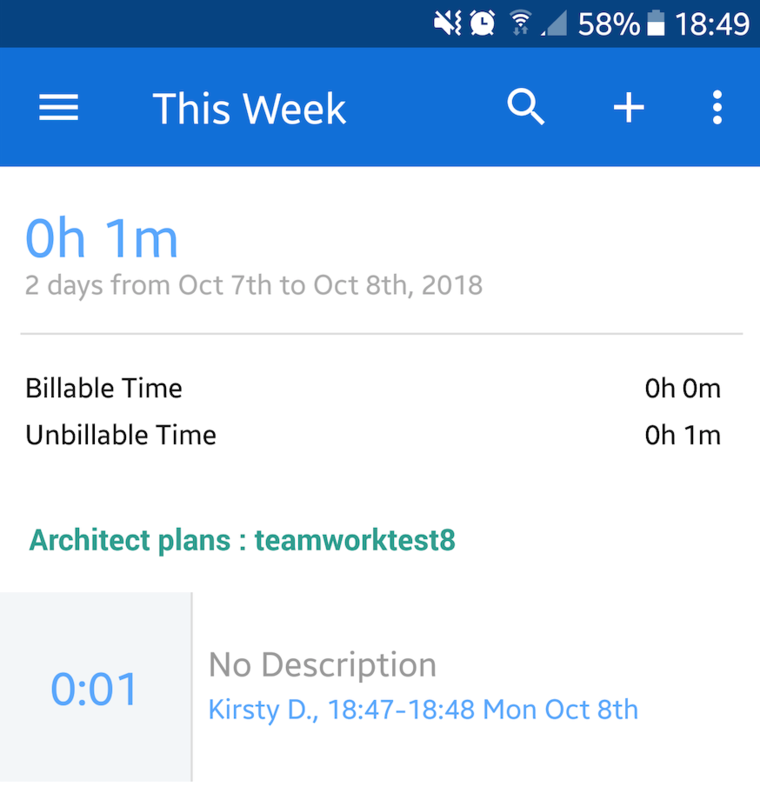 Within Teamwork Projects, you can log time on your projects using the Projects Android app. To log time, tap on the menu icon (three lines) on the top left of your screen. In the sidebar menu, select the Logged Time option towards the bottom of the menu. Click the + in the top right to add a new time log. 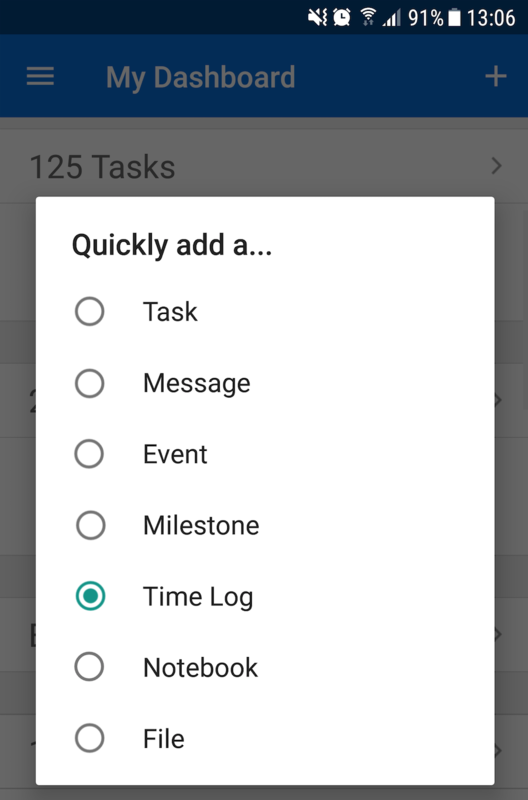 If there is no time already logged, you will also see a green log some time option in the middle of the screen. 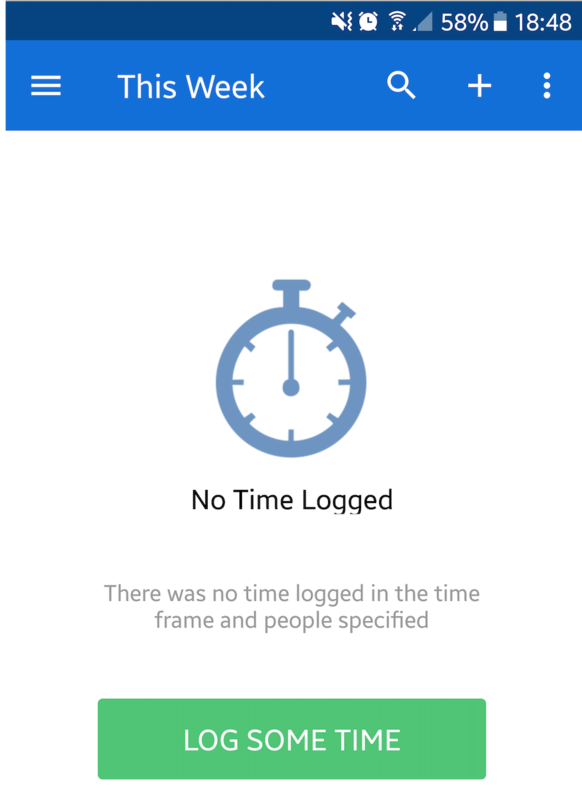 The Log Time modal will open, and you can enter the details for the time entry, before clicking save. When you click Save in the top right, you will see your entry at the top of the logged time page. 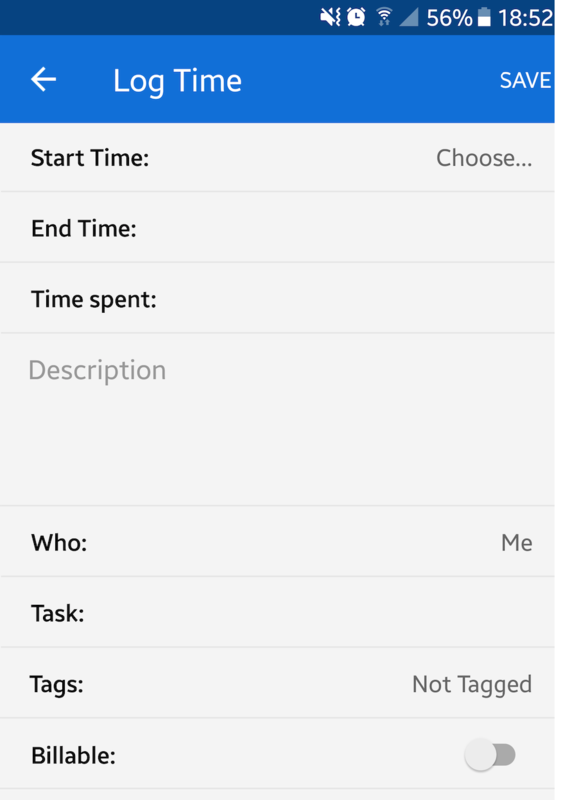 When viewing the task details for an individual task, select the stopwatch icon to start a timer for that task. 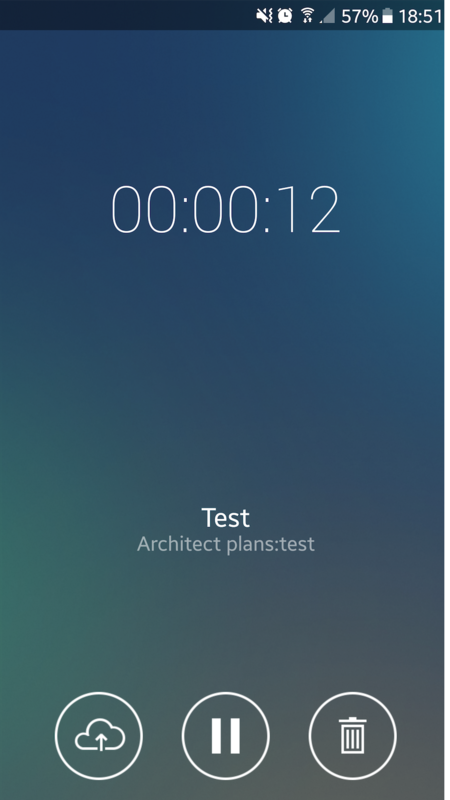 A timer will start at the bottom of the screen, tracking the time on the current/selected task. Stop the timer by tapping on it, and selecting the pause icon. 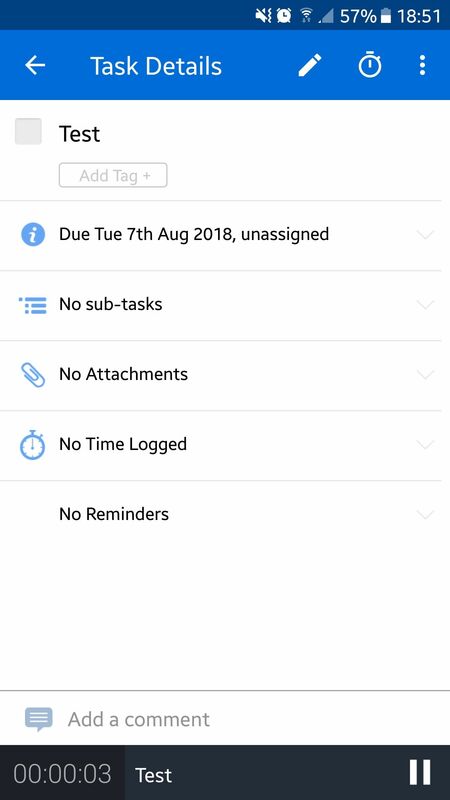 The time can then be logged by selecting the cloud icon. You may also delete the current timer using the trash can icon. Enter the details for the time log, and select save. 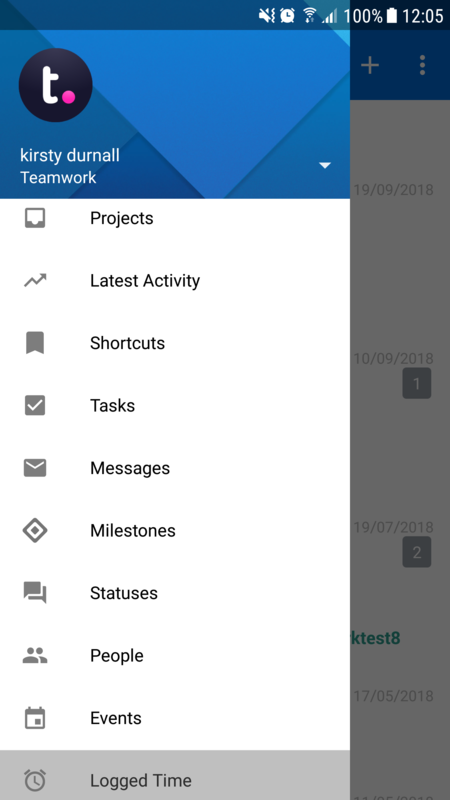 When you click the Projects menu from the sidebar and select an individual project, you will have an option in the project's home menu items to log time. Alternatively, you can start a timer by selecting the timer icon near the top right of the screen. 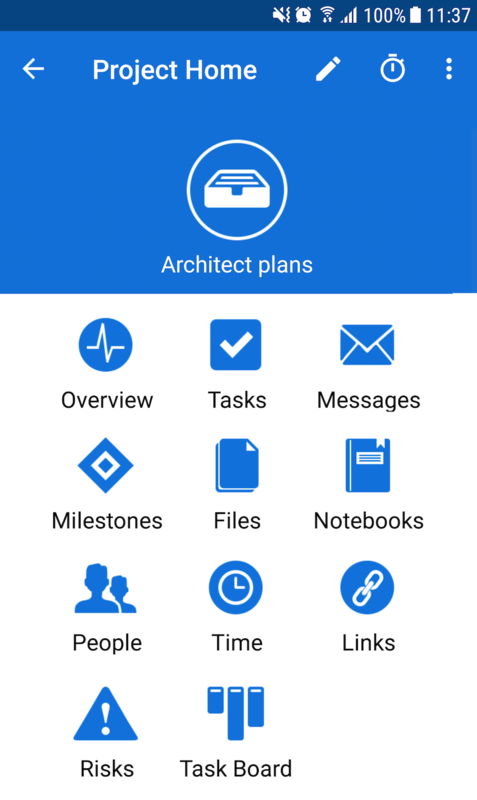 Open the main menu sidebar by tapping the three lines to the top left of the screen, and select Dashboard. Tap on the + icon in the top right corner to open the quick add menu. In the pop up menu, select Time Log to log your time entry.